I started Online Learning Insights in 2012 when working as a Lead Curriculum Developer at a private university. I identified a need for support of faculty and instructors creating courses for the online delivery mode, and for skills in teaching online. Online learning insights has evolved into a valued and credible source for hundreds of education professionals from over 90 countries. Read more here. I launched School Over Sports with the aim of raising awareness among parents, educators, coaches and community members about the issues around competitive youth sport and its effect on children's well-being, academic performance and family life. My goal is to encourage readers consider the issues, get involved, and contribute to developing a safe, healthy and positive environment for sports and school. The MOOC Case Book tells the stories of IT and e-learning practitioners, faculty, and students who faced challenges during the design, development, implementation, or participation in a Massive Open Online Course (MOOC). This book will be of great interest to designers, developers, and instructional facilitators of Massive Open Online courses, as well as academics and consumers of MOOC content. It can be used as a textbook or supplementary resource in Educational/Instructional Technology programs and courses focusing on instructional design for e-learning, distance education trends and issues, and issues in higher education. Available at Linus Publications. Morrison, D.A. (2015). Pedagogy and MOOCs: A practical application of Khan’s e-learning framework. 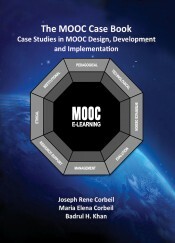 In The MOOC case book – case studies in MOOC design, development & implementation (pp. 33 – 46). Ronkonkoma, NY: Linus Publications. "5 Myths About Online Learning Debunked" published in Media Planet's Careers and Education feature on Online Learning.